COMEDIAN Simon Evans is depressesd by the evident decline of intelligence in public life – but he also recognises his own waning powers. And together this awareness adds up to Genius 2.0, coming to Dorchester Arts at the Corn Exchange at 8pm on Saturday 10th November. The Scotsman awarded the show its coveted five-star rating, calling it a ‘vortex of despair’ but also a ‘masterclass in socio-political comedy’. Simon Evans has been a regular face on the comedy circuit for the last two decades, and has performed at venues and festivals around the world – Montreal, New Zealand, South Africa, Hong Kong, Aspen, Switzerland, Norway and many more. 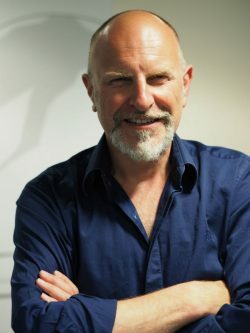 In addition to hosting four series of his own show Simon Evans Goes to Market on Radio 4, where he is also a regular on The News Quiz, Simon has appeared twice on Live at the Apollo and on Michael McIntyre’s Roadshow, starred in a series of Stand up for the Week and has become an increasingly familiar face on current affairs and debate shows including BBC’s Question Time, This Week and The Big Questions. Simon Evans’ Genius 2.0 is also at Swindon Arts Centre on Saturday 3rd November, Bath Komedia on Sunday 18th, and Forest Arts at New Milton on Friday 23rd. Posted in Make 'em Laugh on 1 November, 2018 .